It’s Remembrance Day – a special one at that, today’s date being 11 November 2011 (11/11/11) – and I am remembering my great-grandfather William Ellis. William served as a private in the 4th Battalion of the Middlesex Regiment and died of wounds received in action near Ypres in 1915. He is buried at Somersham in Huntingdonshire. 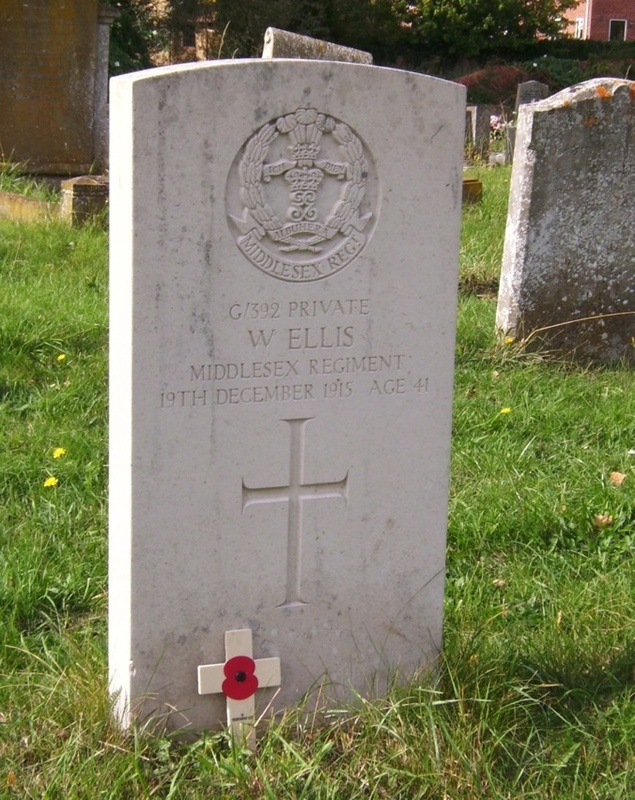 For more information about William Ellis, please read my earlier post Along the Menin Road.